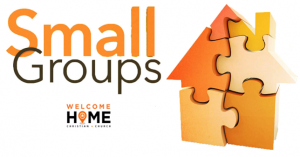 Small groups are the life-blood of a growing church and at the very heart of our small-group ministry is the need each of us has to build connections. For some, small-groups provide needed fellowship and an opportunity to build relationships. For others, small-groups provide motivation to continue “running the race” and growing our faith. At WHCC, our Small Groups ministry is all about ensuring we provide you with the support you need, while also fostering your relationship with God. We’ve structured our ministry in such a way that each Small Group will have up to 10 or 12 members and will meet for a period of 6-8 weeks. During each series, solid Bible studies will be provided, which includes time for discussion, fellowship, and relationship building. If you’ve never participated in a small group before, you’re in for a treat. If you have participated in one in the past, it’s time to get plugged back in, and we encourage you to join a group today. For more information or to get plugged into a small group near you, please contact Ricky Flack, Ricky Flack or call (352) 408-6781.